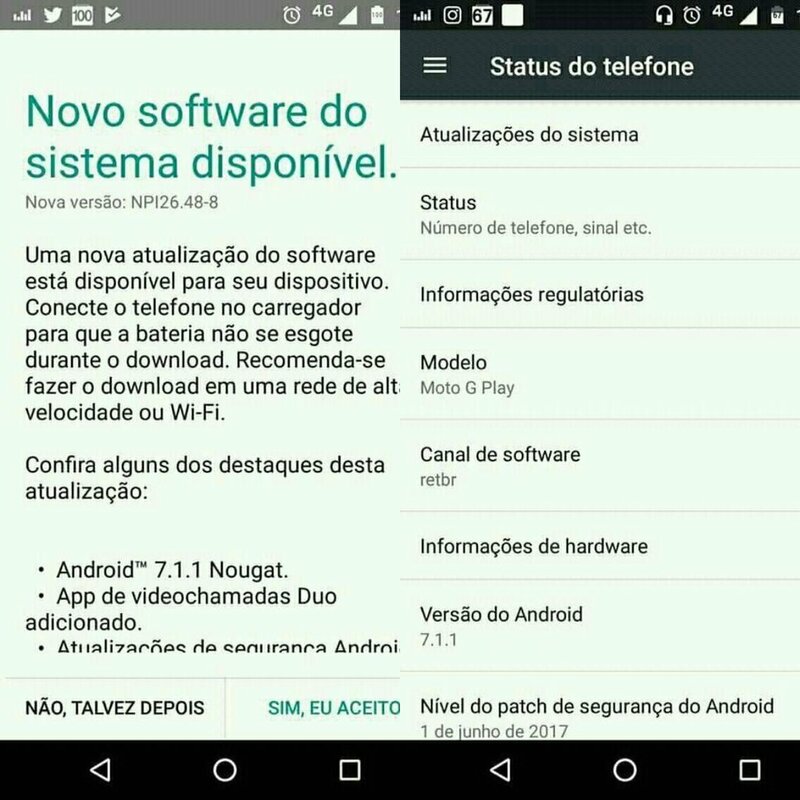 Moto has started rolling out Android 7.1.1 Nougat Update for Moto G4 Play in Brazil Update Size is 638MB. The update brings the latest security patch, which is the June 1st, 2017 patch. 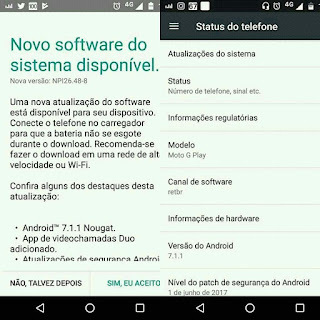 So users with the Moto G4 Play will be up-to-date, at least for a couple of weeks before the July 1st, 2017 patch comes out it will be available to other regions in the next few days or weeks. Moto G4 Play has a 5-inch (1280 x 720 pixels) HD display powered by a 1.4 GHz quad-core Snapdragon 410 processor with 2GB of RAM and 16GB of internal storage On camera it has a 8-megapixel rear camera with LED flash and a 5-megapixel front-facing camera. It has water resistant nano coating.It has a 2800mAh battery with Quick Charging.